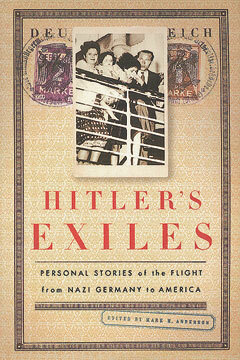 A 1998 Los Angeles Times Book of the Year, Hitler’s Exiles is a panoramic, first-person account of the flight from Hitler’s Germany to America. From forgotten archives and obscure published sources, Hitler’s Exiles brings to life the unknown voices of that harrowing time by focusing on the ordinary people who underwent a most extraordinary voyage. Also included are little-known writings by such major figures as Thomas Mann, Hannah Arendt, and Bertolt Brecht. Hitler’s Exiles is at once a moving human account and a new classic of the literature of exile.